******IMPORTANT PARKING INFORMATION*******Please visit our website for important parking information at www.BookbindersRichmond.com and click on the directions link at the top of our homepage. Please share this information with all of the guests in your party, so they will know where to park for free, should our lot become full. Private Rooms are available from 15-150 guests. Please contact our Special Events Coordinator Jeanette Stoneman, at 804-614-5558 Monday-Friday from 9:00AM until 5:00pm. Please visit our website for a complete banquet packet downloadable file. 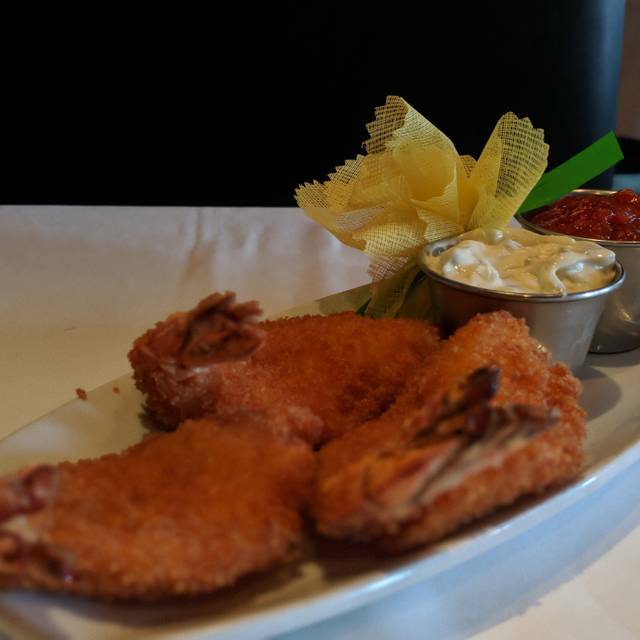 Known for their outstanding guest service along with their food, which is consistent, fresh and of the utmost quality. 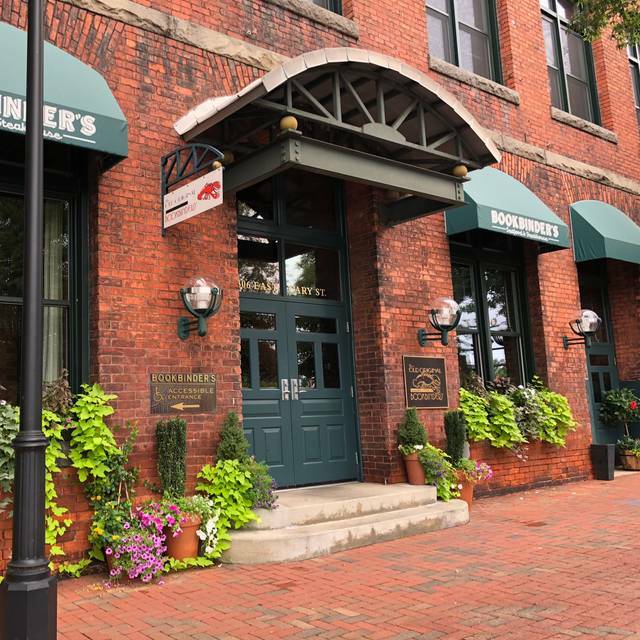 Ninety percent of their staff have been employed 10-18 years at Bookbinder's and are the uppermost professionals in Richmond, earning consistent Open Table awards. 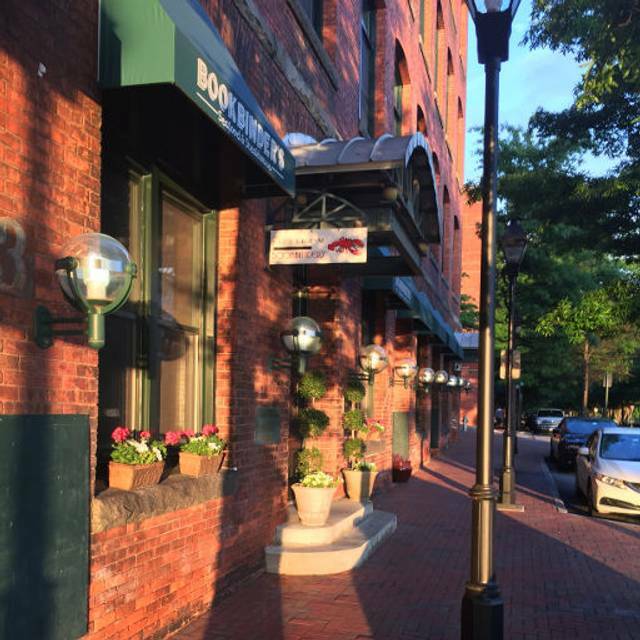 Bookbinder’s is a locally family owned Seafood & Steakhouse and is unique to Richmond. 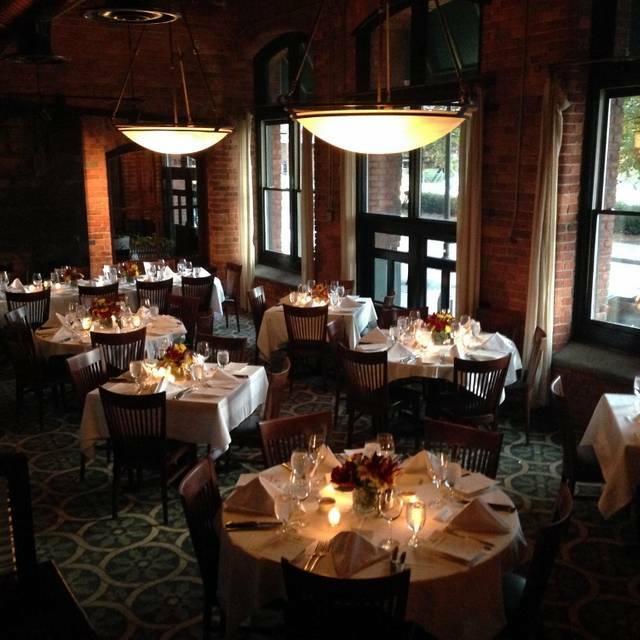 Bookbinder’s offers the perfect combination of rich history and atmosphere. Close to the James River in historic Tobacco Row, steak and seafood lovers will enjoy the ambiance of exposed beams and brick walls in this refurbished tobacco warehouse. 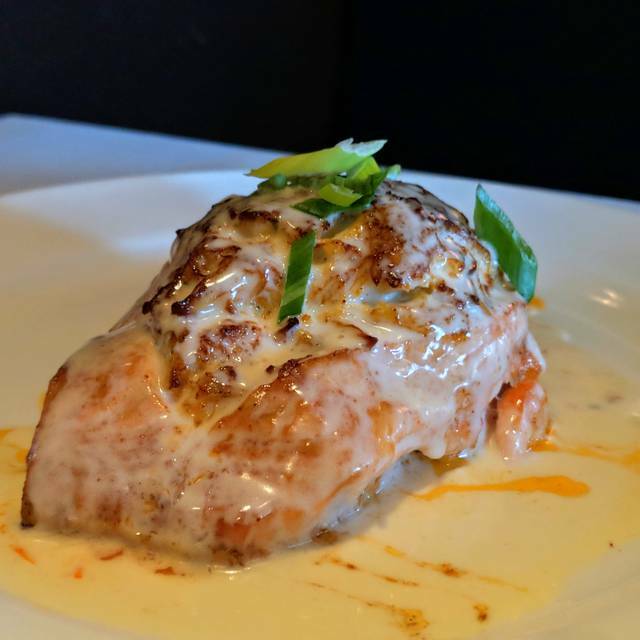 From steak to lobster to seafood, each dish is intricately prepared and beautifully presented. We look forward to seeing you soon!! We are honored to have been selected as one of the 100 Most Romantic Restaurants in America for 2018, as Voted by Open Table Diners, (based on an analysis of twelve-million reviews of more than 26,000 restaurants across the country)! Nice location. Nice ambiance, although we were seated in a less desirable area of the restaurant. Was disappointed in the food. We both had seafood, scallops and fried shrimp. The scallops were chewy and gritty. The fried shrimp was overly fried. The restaurant did not meet expectation and the outstanding reviews. Absolutely a wonderful Easter Sunday late lunch with friends. The table was ready right on time. The wait staff was very attentive without being intrusive or hurried. And, it was unanimous that the food was excellent!! Stuart, Thank you for taking your time to give us such an amazing review. We are so happy that we were able to help make your Easter Sunday so wonderful! We look forward to having you visit Bookbinder's in the near future. You can never go wrong at Bookbinders. The quality is always showing. The food is fresh and served promptly. No one likes food that's lukewarm at this price point. The ambiance is great for a business meeting or a romantic dinner. Bob, Thank you for taking the time to give a great review. We are very happy that you thoroughly enjoy the fresh food and great service we our proud to offer. We look forward to having you visit Bookbinder's in the near future. My first experience at Bookbinder's was wonderful. I'm looking forward to my next visit! Melody, Thank You for the amazing review. We are extremely happy to hear that your visit was so wonderful. We are looking forward to seeing you in the near future! Thank you for taking your time to give us such a wonderful review! We look forward to having you dine with us in the near future. While this may be at the higher end of the price range, there is no question that Bookbinder's is well worth it all. Excellent and nuanced service, an elegant ambience, a diverse wine list, and food that is quite memorable. We went there for my son's birthday, and he nominated his food as "one of the top 5 steaks I've ever had"- and he is tough to please. I think we' have started an annual tradition for him, and one of many future visits with the family. Thank you for taking the time to give us such a speculator review! We are very extremely happy that you enjoyed so many great qualities offered by Bookbinder's. We look forward to making each one of your experiences as memorable as your last visit! The food was delicious - especially the steaks. Our server was attentive but didn’t hover and he paced our courses perfectly. The woodwork and exposed brick create a warm and welcoming atmosphere. Excellent food and great service. The parking was a bit of a challenge- all of the spaces in their designated lot were full and I had to park 2 blocks away. It was worth the walk, though. 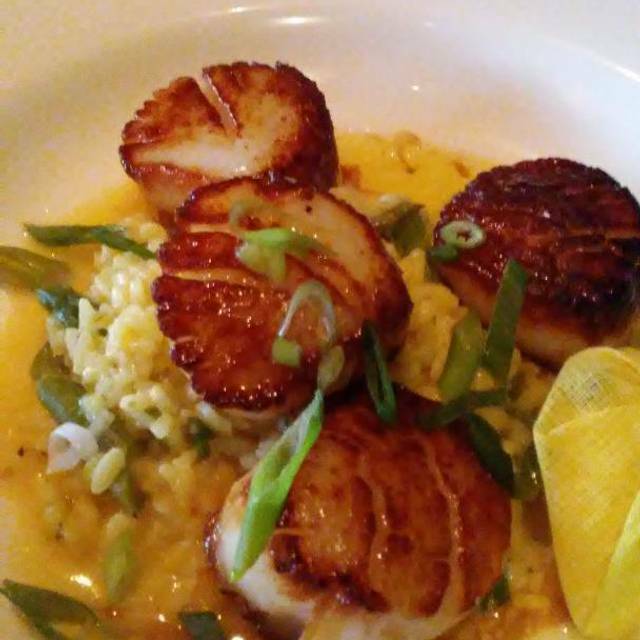 We are never disappointed with our dining experience at Bookbinders. The owner was evening doing table visits this past Saturday, great to see. Enjoyed the food, service, and our evening with old friends. We are repeat customers- the first time I ever visited Bookbinders was in the early 70's in Philadelphia...it is just as good now as it was back then...we always enjoy celebrating special occasions here! Thanks to Johnny the owner, and Tim, our server for making our evening a memorable one! 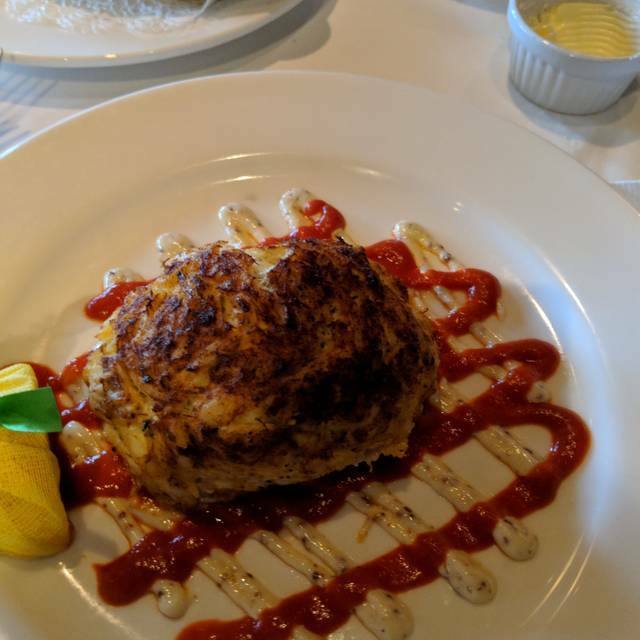 The location, the parking and the environment of the restaurant are very good; The waiter was professional and friendly; the flavor of the fish was good. However, a piece of hair was on the edge of the platter of the fish dish upon serving. Had I not commented on the poor taste of the side dishes I would not have been partly compensated for the hair found on fish dish! Specifically, the female manager was cold. I would not consider her as an appropriate manager for a premium restaurant Bookbinder's tries to proclaim. Food was great. Little pricey for the food but not terrible. The one issue was that we had food left over to take home and without asking the waiter threw it away. Pretty disappointing considering the price of food . Next time we know to make it clear about the take home. As always, friendly service, great food and wonderful atmosphere. Our "go to" place for a quiet evening. Excellent food and service. Disappointed they didn't have Coors light or Budweiser and had to settle for miller lite. Overall a very nice dinner. My wife and I went to celebrate our anniversary and we really enjoyed ourselves. Everything was good we even had 2 baskets of bread. We would highly recommend going for dinner. We will be going back soon as possible. Food was outstanding. Salmon stuffed with crabcake was beyond words delicious. Steaks were cooked to perfection, exactly as ordered. The large baked potato "enhancement" may have seemed pricy, but it was enormous, and easily shared. Service was superb; attentive but not intrusive. Free parking across the street-- golden in urban areas! Service was lacking. Received two wine lists and one of them had our preferred wine. We saw 1 bottle of that wine at the hostess station which our server said could not be sold to us because it was no longer on the list. After talking to Zack (thanks) we received our wine but our server never refilled our glasses. Most of our food was served at a lukewarm temperature. The reservation was made as a birthday celebration my wife via OpenTable. The restaurant had the wrong name and age printed on the menu. Food was delicious and the servers were well trained with exceptional courtesy. The owner also greeted each guest at their table. We reserved our 'traditional' seating (street-side side by windows) for celebratory evening. Our group arrived 30 minutes early - and were told that the requested table was reserved for us. After brief bar time, we were seated in another area of the restaurant because our reserved table was given to another group. Other than that, the dinner was excellent as usual. We made an online reservation and showed up 15 minutes early. We were promptly greeted and seated immediately. Our waiter was outstanding! He was very friendly and ready to answer all of our questions. He even let us sample something we asked about. Food was great. Have been before and will return. Beautiful place for the price food was good not great. Steaks flavorful but not worthy of $50 tab server was distracted and never quite got it. Limited seafood entree menu. Food was good. Service was solid. From when we were greeted until we left it was awesome! The Coffee rubbed steak and blue cheese olive martini were legit. Had a wonderful dinner with friends. Slightly pricey but it's perfect for a special occasion! 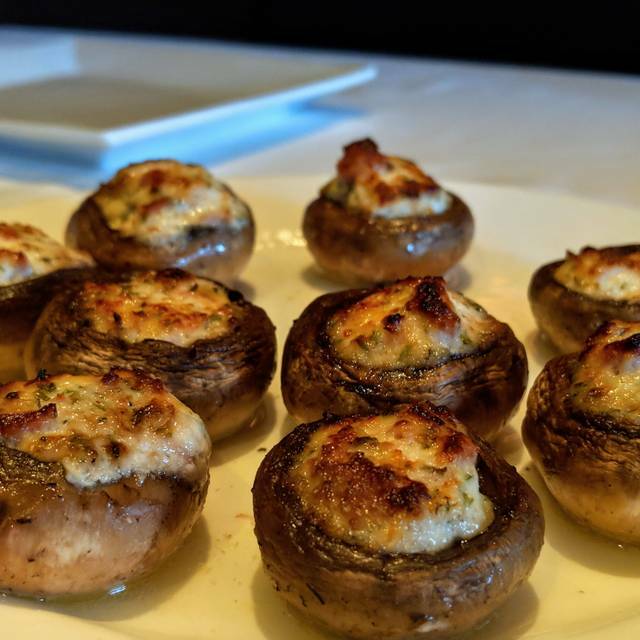 Excellent service and remarkable food! Our meal was fantastic and service impeccable as always! Food was awesome and our sever was amazing. It was a great experience and I shall return every time I am in town. We had a party of 8 on Saturday the 8th. The service was terrible which was a shame because the food was good. It was probably due to our party size and the gratuity being already included in the price. The waiter could care less about pleasing us. Very unfriendly, dismissive and downright rude. It does go to show that an otherwise nice restaurant can be ruined by bad service. It is a reflection of management to let this happen . I would never go back and I would not recommend this establishment . Try Buckhead's instead. Very good food and service. Service was excellent! Food was excellent and presentation was lovely. I'm accustomed to eating fish at fine restaurants. . Will definitely eat here again when in Richmond. The food was delicious and our server was very nice. Would definitely go back! Food was excellent as was the service. Had petite filet with creamed spinach and loaded baked potato. Wine list in the process of being updated so they may not have the selection you choose. Note baked potato is very large and can easily be shared by 3-4 people. First time here, late valentines dinner. Really enjoyed experience, price point a little high but overall great.. we will be back! There is an intimate, cozy feel to Bookbinders! The dinners were excellent, service fantastic and experience wonderful! We went for our anniversary. The restaurant had personalized the menu with a header of Happy 56th Anniversary! Our waiter was very knowledgeable about the history of Old Bookbinders in Philadelphia (which we had visited previously) and the restaurant's move to Richmond. His recommendations for menu items were through and spot on! Perfect food in the perfect atmosphere. You get what you pay for. Outstanding food and service. Patrice knew the menu and when she described or recommended a dish it tasted just as described. We had the pleasure of meeting the owner and his daughter who went table to table and spoke to all their guests. A rarity these days! We will be back! In Richmond for hockey this weekend and decided to splurge on a fancy dinner and Bookbinders did not disappoint. 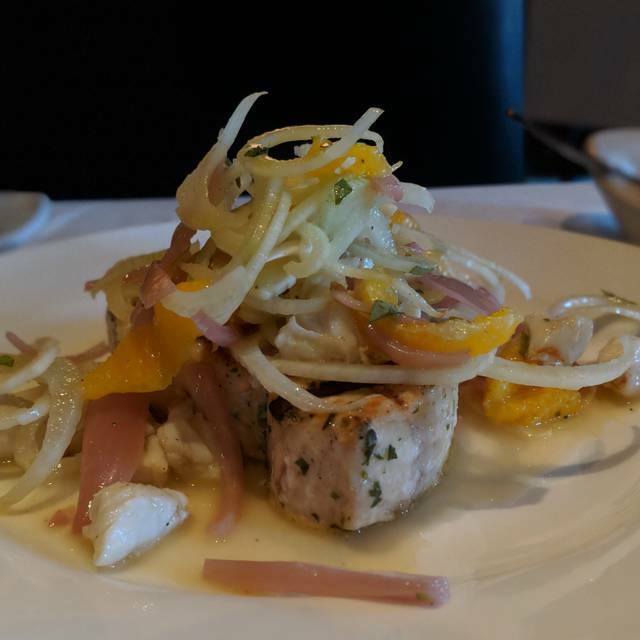 The Cajun Tuna appetizer is something you don’t want to pass up and the Filet Mignon was a perfect medium rare! Will definitely be back when back in town next year! We were celebrating our sons 16th birthday and so we wanted it special. The food and service were outstanding!! Our server Rebecca was superb.